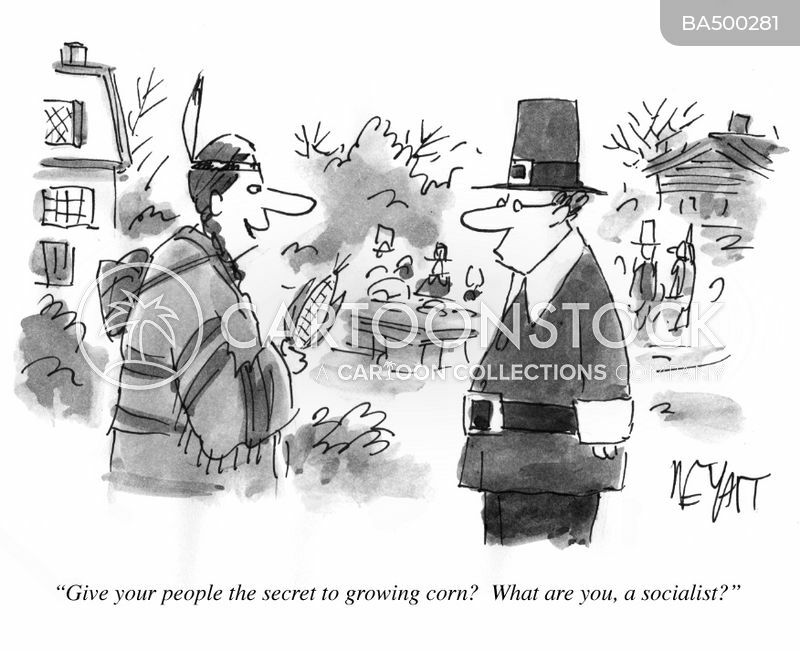 "Give your people the secret to growing corm? 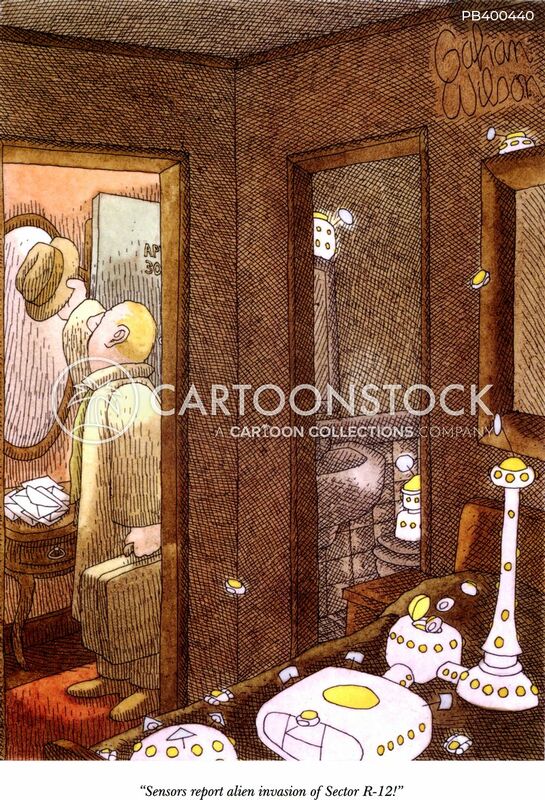 What are you, a socialist?" 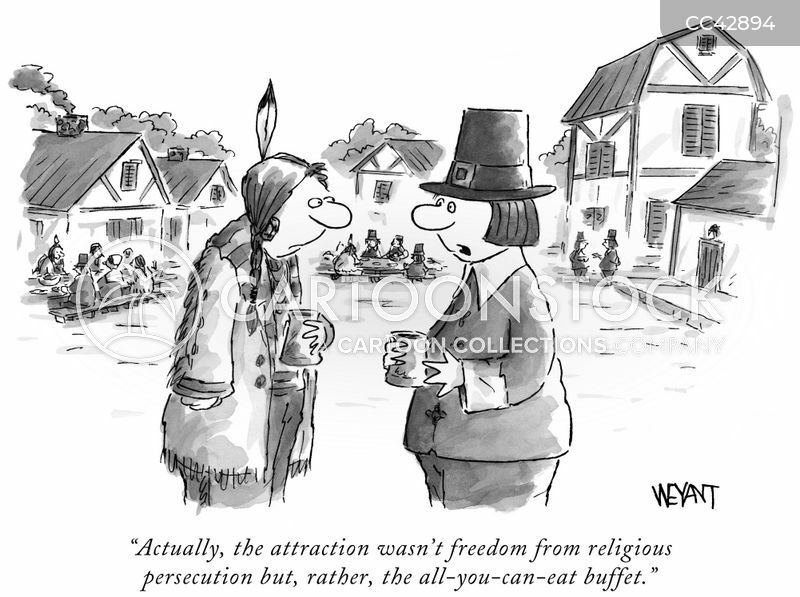 "Actually, the attraction wasn't freedom from religious persecution but, rather, the all-you-can-eat buffet." 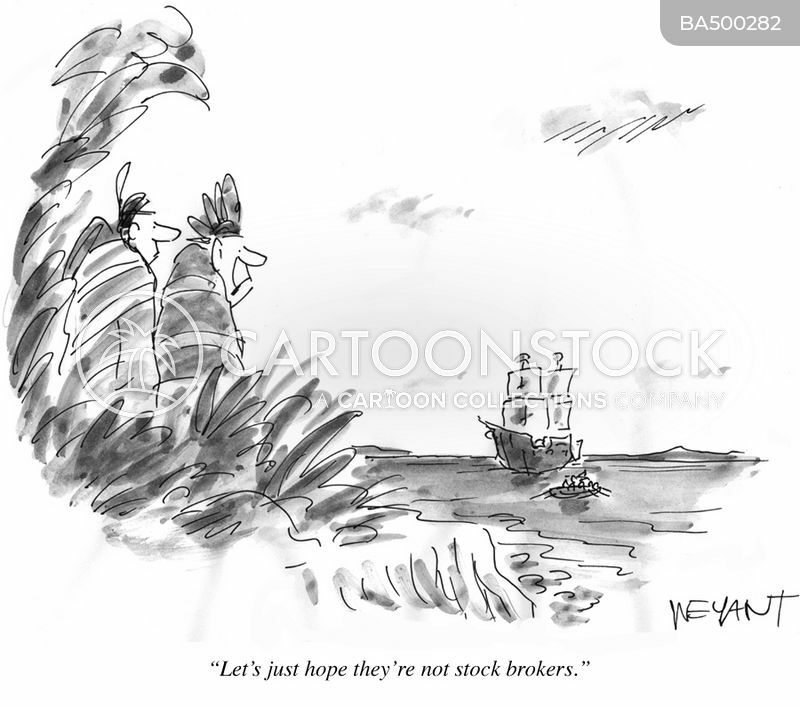 "Let's just hope they're not stock brokers." "Sensors report alien invasion of Sector R-12!" 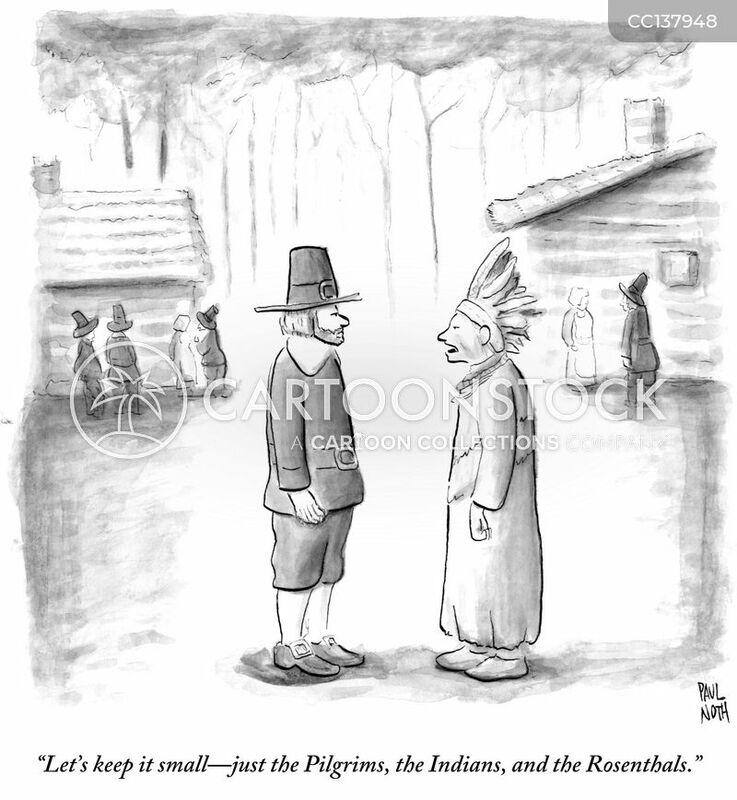 "Let's keep it small-just the Pilgrims, the Indians, and the Rosenthals." 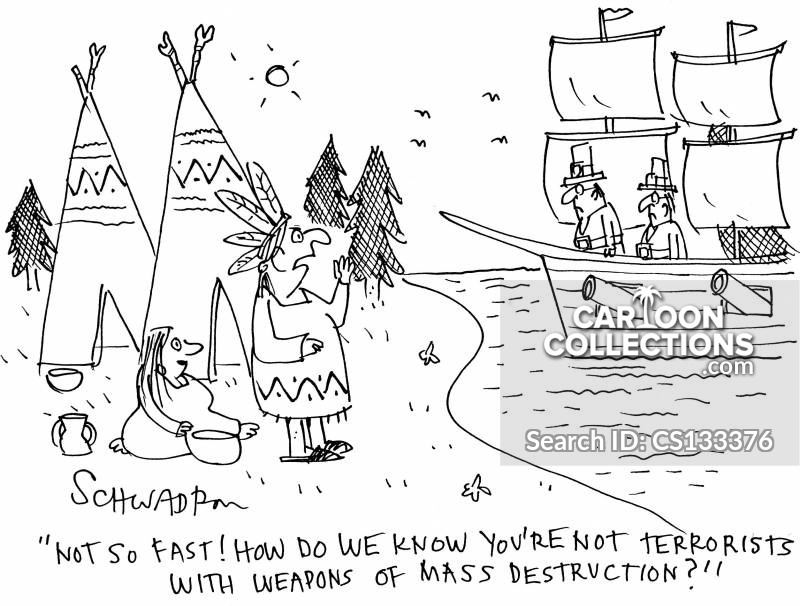 "It's agreed. 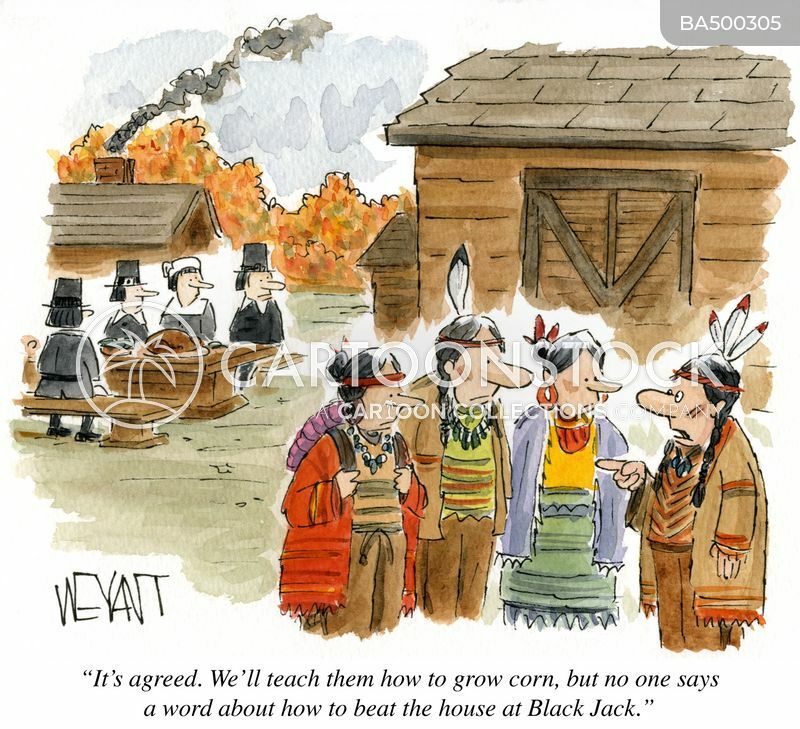 We'll teach them how to grow corn, but no one says a word about how to beat the house at Black Jack."